The title of this review is exactly what these are called. And what these are called are exactly what you eat when you open up this package. Nuff said? These aren’t “surpising.” They’re not “oulandish.” Nor are they “strangely desirable” – an adjective you would have used to describe me back in 2003. Why am I reviewing cookies anyway? This isn’t Cookie Gurus you know. 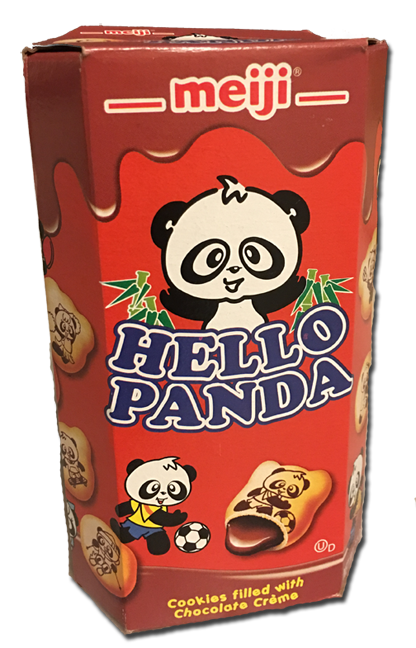 And lucky for Hello Panda this isn’t a cookie review web site because as far as cookies go, these are lackluster. 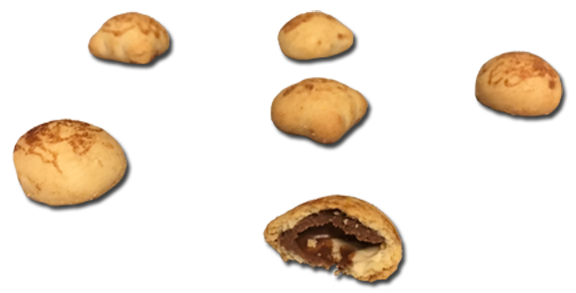 They’re like sweet Oyster crackers with less flavor, filled with a lazy smattering of pseudo-average chocolate cream. The chocolate tastes like the chocolate bits of a Chips Ahoy. Just. Very. Ordinary. Not sure these are worth the calories to be honest with you, even though the internettles is filled with people in love with these. Many just seem to like the cute mascot. They have other redeeming qualities: you got a very solid serving in the package and they’re very light, even with the cream filling. Sure, buy from the link below but just know these aren’t the goods you brag to your friends about finding in that exotically trippy Asian grocer on the corner. These are a ho-hum mindless sweet snack you’ll forget about almost as soon as you finish the box. Wait. What was I reviewing again?